A new village was built by the Stanton Ironworks Co. A 60m cover line to water bearing strata established by seismic survey. The axis of the Eakring anticline is 2km east of shafts running approx North to South. 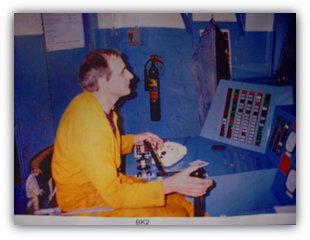 There are 199 oil bores in the Eakring oil field. The oil bearing measure sat base of carboniferous below Kilburn seam. Down bores were made from Ollerton Parkgate to Low Main to relieve gas. As Bilsthorpe Low Main worked into Ollerton take, beneath the old workings, leakage air was pulled from Ollerton Parkgate above down into Bilsthorpe workings. 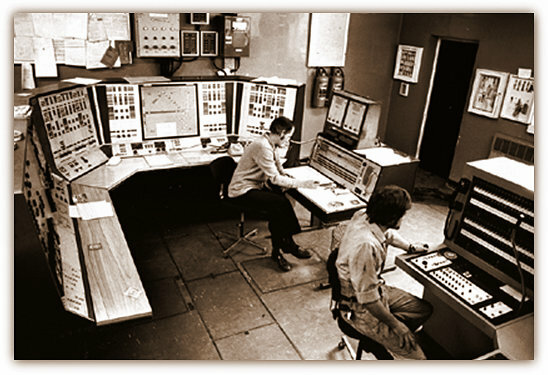 It was monitored carefully for gas content. Methane drainage was practised and the gas was exhausted into the general body of the air stream. 111s sealed off because of heating 25/3/1987. Water was found behind 77s stopping, oil found at 79s LH return drift. 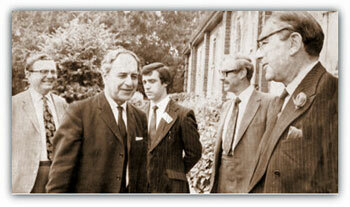 Sir Derek Ezra visited the colliery accompanied by the Director of North Nottinghamshire Merik Spanton, Alan Allsop Deputy Manager, John Berry Deputy Director and Wilfred Miron the Chairman of the East Midlands Division. 41s North West Retreat Feb 1994 - 23rd Dec 1994, slow work from Sep. (20 panels). BS 6s Retreat panel, 252m long and some 3 miles from the pit bottom, 19th July 27th Mar 1997. (4 panels). The Coal prep plant was built in 1928 to process 250 tons per hour. Dirt disposal originally was by overhead bucket system to the tipping site then later by conveyor about 1959-1960 to a 400 tons capacity reinforced concrete bunker, the dirt then transported up the tip and spread and layered by Euclid scraper after 1967. 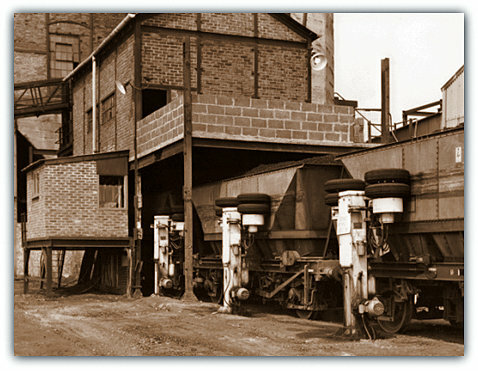 An automatic wagon lowerer is shown to right. 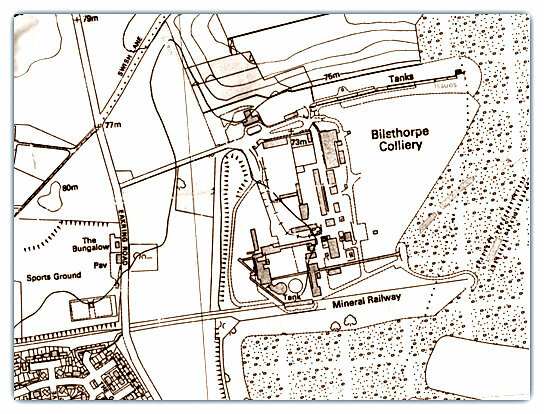 Bilsthorpe rail connection was 4 miles from the Blidworth Colliery branch line, which was 1 miles from Clipstone and was also mile from the Farnsfield Nottinghamshire Joint line (to Ollerton). New 2km x 1km ‘flat sheet’ plans on 1/2500 scale, oriented to the National Metric Grid were now required to be constructed after 1958. The workings previously were plotted on large roll plans to a scale of 2 chains to 1 inch on Dunnose grid. 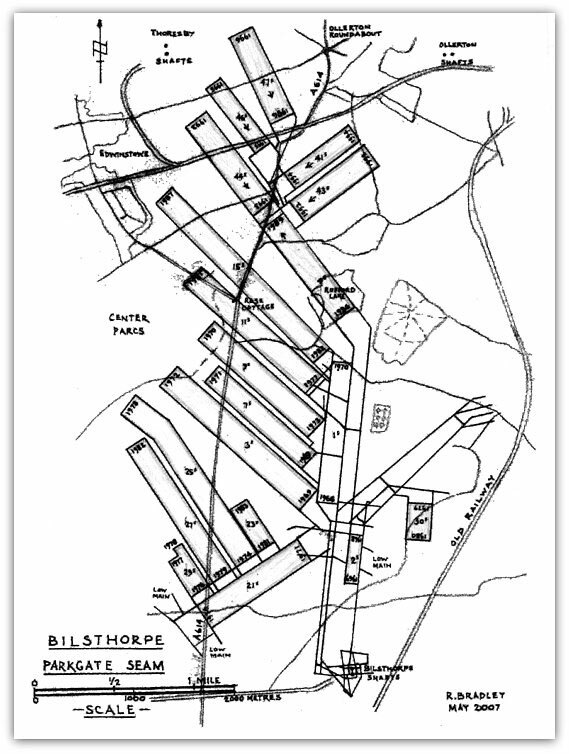 Correlation of workings by wire 1951; check on position through 140 yards (130m) connection heading from Rufford in 1956, to 20s LH gate at Bilsthorpe, the difference in bearing of 02’ 02” on a base line and 2.383m in distance (a reasonably good tie allowing for the distances involved and the bay levelling style system of measuring, all tied through 7 colliery inter-connections). However I would have carried out another survey, and re-angled and measured, using the catenary method from a main base in Bilsthorpe pit bottom to a main base in Rufford pit bottom to find where the discrepancy was. A demarcation point between the collieries was mid-way along the connection roadway. Shaft measurement by wire in June 1958 gave a difference of 1.53 feet (0.466m) from the original value in 1928. 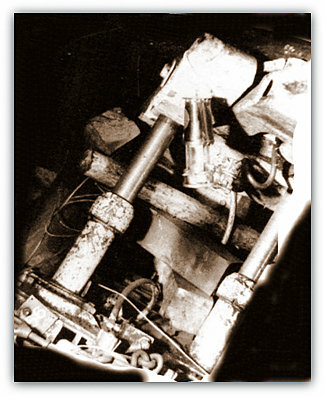 Subsequent checks by Gyro-theodolite in 1971 and 1974 and 1981 agreed with the values of 1956 and so did the shaft position by auto-plumb in 1982. In 2004 a £3m project was outlined to transform the old former 300 acre pit top area into a major rail freight terminal. 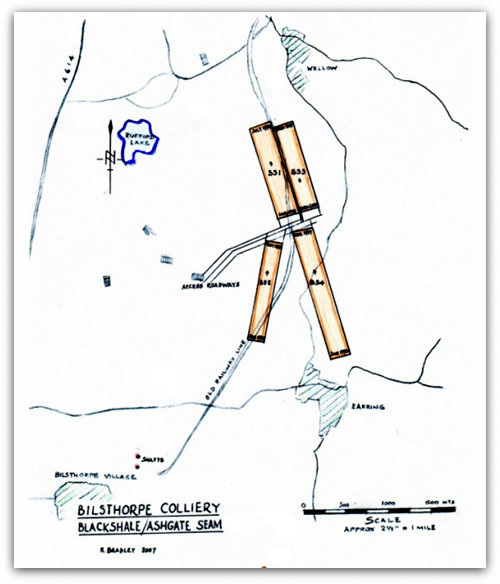 The redevelopment could bring many welcome jobs to the site as Bilsthorpe with its rural setting was also an isolated pit village which suffered when the mine closed. 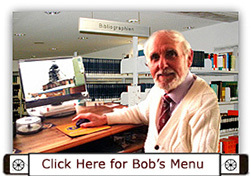 It lies 17km North West of Newark off the A614 trunk road. The pit top site has been transformed into a development area for various units e.g. Council Depot, Harworth Estate etc. Surrounding this are 5 wind turbines generating power for the National Grid. An appeal against a proposed incinerator for household rubbish is ongoing. At the entrance to the old pit lane, leading to the development area, finally at the end of February 2015 a half winding wheel was erected in memory of Bilsthorpe Colliery 1927 to 1997 and those who worked there. One particular panel in the Low Main seam, 106s, rose up one side of the Eakring anticline fairly gently then dipped savagely down the other side at a maximum grade of 1in 2.2. Like most miners I had never ever experienced such dips until then when I was invited by Geoff Austin the Surveyor to visit the face it was awesome! The men called it ‘Cardiac Hill’. 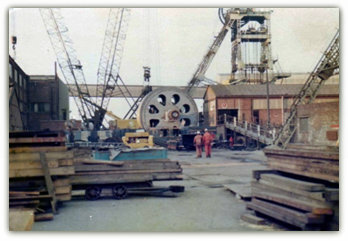 New winding house for No2 shaft and a new electric winding engine was installed in 1978. The old winding house was clad with tin sheets! It housed a third hand steam winding engine, transferred from Pleasley colliery as a sinking engine where the engine had been bought from a steam ship for the shaft deepening there. It was never replaced until now when electrification was introduced and a further second hand engine from the closed Ormonde colliery installed. The new drum weighing 100 tonnes had to be lifted into place with a special crane. 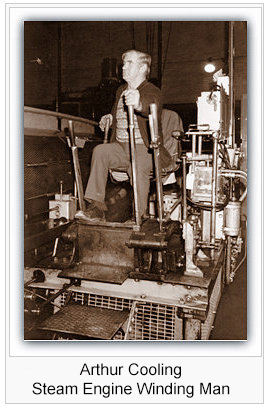 During 1957 there were 4 Meco Moore cutter loaders in use, Top Hard 41s, 46s, Low Main 63s and 69s panels. 1946: 364,320 tons, 1,250 men total, 12 Overmen / Deputies, 146 Getters, 5 Drillers, 3 Shotfirers, 44 Pan or conveyor shifters, 22 Coal cutter men, 83 Rippers, 46 Packers, 12 others mechanical, electrical and maintenance, total face 373, 18 Overmen / Deputies outbye, 198 Haulage, 52 Repair work, 54 on Drivage development, 126 others, total 448, giving a total underground of 821. This does indeed show, as at other pits in this period, that changes in working practices to retreat mining and high rates of advance in development headings with a vastly trimmed down workforce resulted in record outputs being achieved. Colliery closed in March 1997.